I think I have OCD, I am a total neat nick. I cannot stand dirt, clutter or messes. But one day I realized that cleaning the base boards, and dusting my, not so dusty, furniture was really wasting my time. It was that moment I decided I needed to find something useful to do. Therefore, I started volunteering and never looked back. You might find some dust on my baseboards these days, but my life is fuller. When I lay my head down at night, I have something to be pleased about because I was of use to someone. Volunteering at Comfort Care Hospice is like walking into a happy place where people care about you. You are greeted with smiles and hugs and thank you’s from so many people. The staff are always stopping by to thank us for doing the smallest of things. 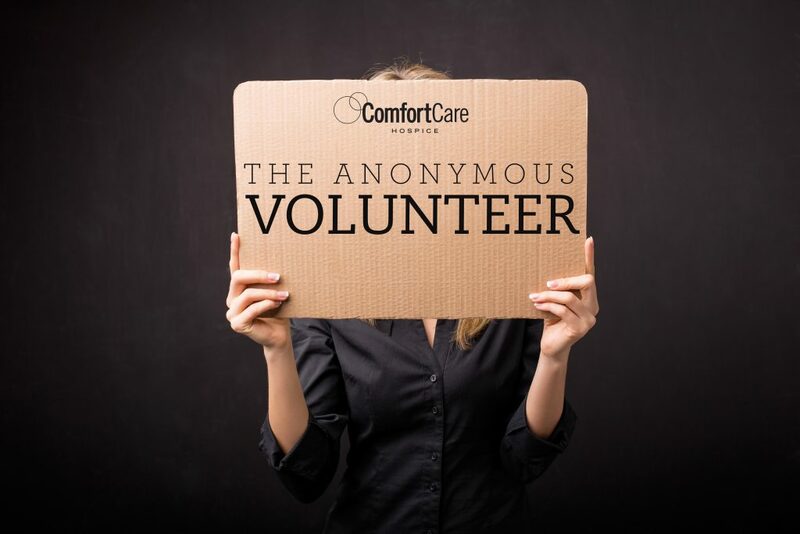 If you have time on your hands, and your baseboards are already clean, consider calling Comfort Care and find out the many ways you might be of service to others. Reach out to our volunteer coordinator at 877-231-0321 if you are interested in touching patients’ lives and strengthening families who are saying goodbye.